DMACC has multiple options for scholarships for refugee students. The Eddy Refugee Scholarships (there are 2 available) are available for students continuing with their post-secondary education. More information can be found here. 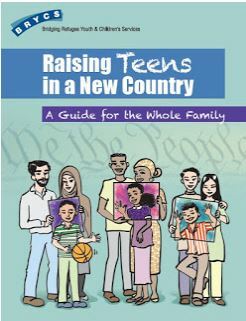 Raising Teens in a New County: A Guide for the Whole Family was created for parents and teens who are new to the U.S., and for the service providers working with them. LSI, in partnership with JFON, will be holding a new citizenship course starting in January. They are hosting multiple informational sessions coming up in December and January, or, more information can be requested here. Help you save for a car*, home, business, or education. how banks and credit unions can help you. second vehicle purchase, but ONLY if multiple adults in the family are working or attending post-secondary education/vocational training. Are you aware of the immigrant visa process? Please check out here!. Please see Jody Mashek’s (Co-chair of the legal work group of the Refugee Alliance of Central Iowa) link to recently updated version of the list of attorneys and non-profit organizations providing immigration legal services here. If you have questions about the list, please email Jody Mashek (JMashek@afsc.org). The U.S. Committee for Refugees and Immigrants, Des Moines Field Office (USCRI - Des Moines) is a leading expert in providing refugee resettlement services and wraparound support to local refugees and immigrants. As part of its holistic service model, the Legal Services Program offers high-quality, affordable legal services, including consultations, direct and consultations will be provided free of charge to qualitying individuals and language services are available. Download a flyer here. Iowa has a long history of welcoming refugees. Refugees are coming from all over the world. It takes a long time to get to Iowa. Refugees are just like you. Refugees want to assimilate into American culture. This webinar focuses on the challenges of enrolling children into the local public school system and the current protections in place at the federal level such as Plyler v. Doe and the McKinney-Vento Act. Additional recommendations are discussed. Download "Enrolling Refugee Children in U.S. Schools" presentation material here and/or download an audio recording here. Check out a Toolkit for Teachers and School Personnel here. A school or agency can make a referral to us using the attached referral form. We will contact the parents and discuss the program with them. A parent can be given the information and put directly in contact with us. Transportation to and from workshop within a 5 mile radius of 600 Holcomb (adjacent to North High School). Please check out the attached documents and referral form, and send your referrals and or questions to DSM Heroes Program Manager Christine Her or call and talk to her 515 777 3182. >BRYCS interactive Online Training Modules are available! Click here to learn more. Do you work with a population of refugees who live in the same apartment complex who would like to receive training for riding DART? This will be different than the usual DART trainings as it will come directly to where the families are living. VNS of Iowa is getting a pilot together to see if bringing a travel trainer and interpreter to an apartment complex to train a small group of 10 families is effective. The program would be one month long and would send a trainer and interpreter to the same complex each week. They would ride together from the closest bus stop to DART to get the Refugee Bus Pass, Primary Health Care, Broadlawns and Polk County River Place over the course of 4 weeks. Preferably, VNS of Iowa would like to find a group of families who speak the same language allowing for one interpreter. If you have ideas for an apartment complex and population in need, please contact Lesleyann Christensen (MCH Outeach Manager, VNS of Iowa) at LesleyannC@vnsia.org or call 515-557-9036 (office) ASAP. Nisaa is a non-profit that aims to end domestic violence and sexual assault in African immigrant and refugee communities by promoting social, economic, political self-determination of all women. If you are in Des Moines, call 515-288-0881. if you are in Iowa City, call 319-333-2453. DSM HEROES is a supportive arts-based community for immigrant, refugee and first-generation American youth who have experienced violence and trauma. Artist Mentors create friendly opportunities for arts experimentation and learning in a multi-lingual atmosphere. Weekly workshops based on young people’s individual interests and informal field trips help them adjust to a new culture and build resiliency. Be available to participate in at least 1 to 2 workshops per week.